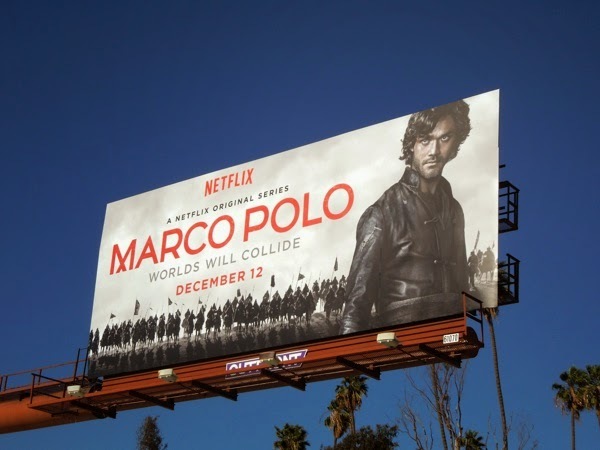 Who has binge-watched Netflix's new ambitious historical drama, Marco Polo, yet? Daily Billboard hasn't so far, but the piercing stare of Italian actor Lorenzo Richelmy as the infamous Venetian merchant traveller and explorer certainly caught our eye. 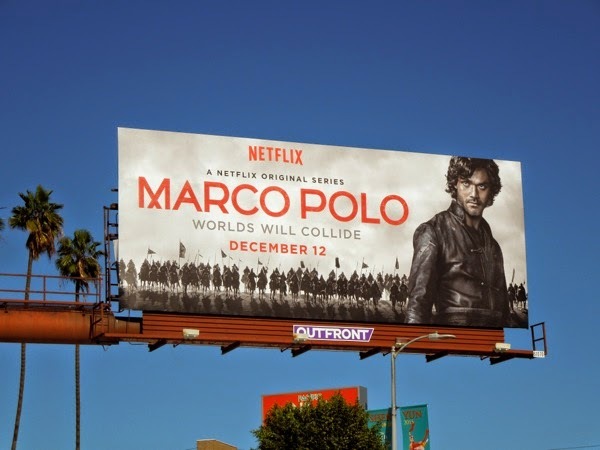 This first season of ten episodes is rumoured to have cost the streaming service $90 million to produce, which hints at the series production values, and focuses on the handsome young man's early years in 'Kublai Khan's' court in Asia after he is abandoned by his father. 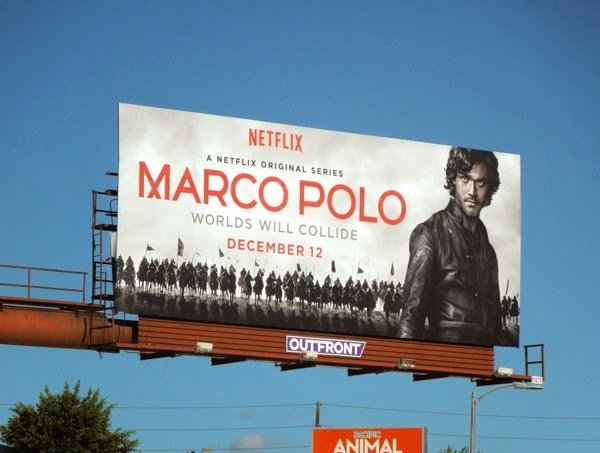 This dramatic Marco Polo series premiere billboard was spotted along Santa Monica Boulevard in West L.A. on December 14, 2014. 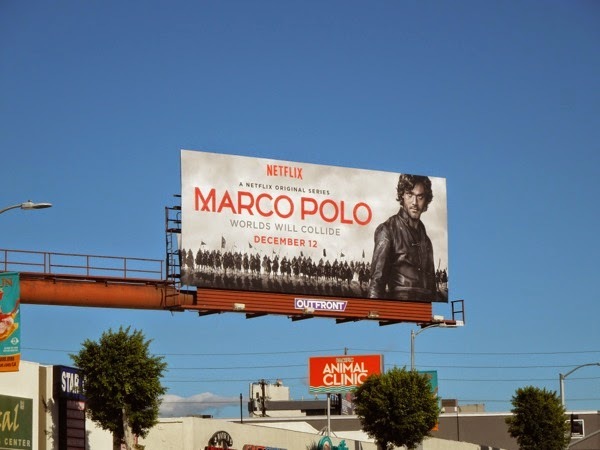 Netflix certainly isn't afraid to put their money where their mouth is in creating original programming, but only time (and viewers) will tell whether they want to explore more of the world of Marco Polo.